Ford’s Go Further Blog: Mackenzie Makes Change! For the past ten weeks, The We Create Change Tour has been driving across Canada to celebrate change, and we met so many heroes along the way! 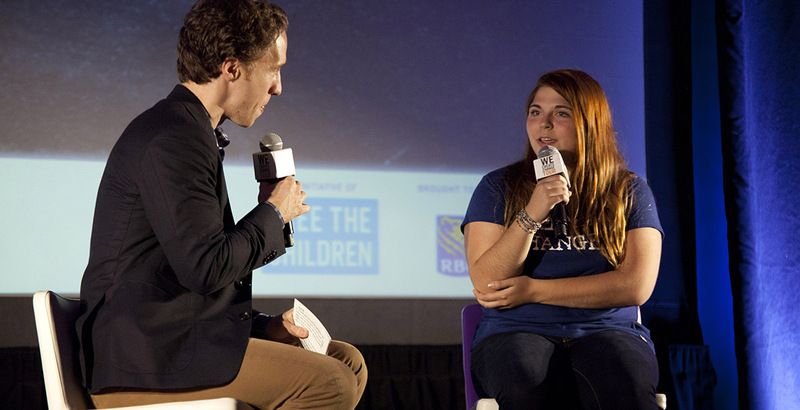 At Western Technical-Commercial School, Craig Kielburger interviewed Mackenzie Wilson, an incredible Grade 10 student who has gone further to make her community a better place. As part of her school’s Free The Children club and the student council, Mackenzie has spearheaded change in her school community by encouraging her friends to give back. She was involved in a refreshing fundraiser where she sold 400 juice boxes to fundraise for a school overseas. During the holiday season, she wrapped about 40 box lids for Christmas hampers. She even learned a new skill to give back when she picked up knitting to make warm blankets for homeless youth! I am so inspired by the creative ways that Mackenzie is driving change in her community, and can’t wait to see how she impacts a global community when she travels to Ecuador to volunteer this summer on a ME to WE trip! Keep up the great work, Mackenzie. ← We Create Change Tour Comes Home!